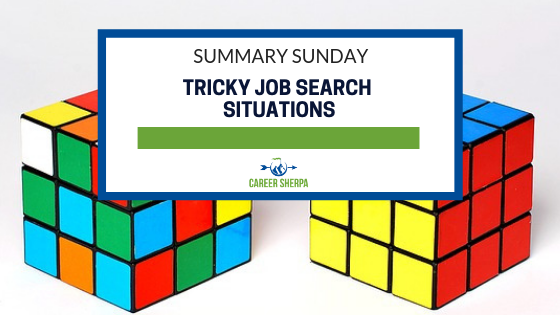 Throughout your hunt for a new job, you will run into tricky job search situations. If you haven’t searched in a while, or even if you have, I bet you will run into one of these situations. Learn the best way to handle some of these new-to-you scenarios. This week’s summary will help! Do you know how to stealthily use LinkedIn so your boss doesn’t find out you are job searching? Are you prepared to answer seemingly innocent job interview questions? Are you frustrated as you look for a drastically new career? And if you are about to quit your job, do you know what you should do before you give your notice? Many thanks to the many experts for providing their insight on these tricky job search situations! 7 career experts share their top tips on how to keep your job search under wraps…or at least use LinkedIn without your boss finding out. There are many things you can do on LinkedIn. These are some of the hidden features you should know how to access. This question has a hidden agenda. Before you spit out the easy, honest answer, read this and see what else you should include. Yikes! How will you answer this type of question in a job interview? Learn why employers ask this question and your thought process for constructing your answer. Solid logic and six things you should know if your job search involves changing your career direction. If you plan to give notice that you are leaving your job…be sure you read this first! While giving 2 weeks notice is customary, your employer may have other plans.